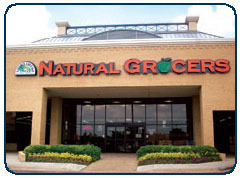 Vitamin Cottage’s Natural Grocers blows out of the IPO gate this summer with spectacular performance and quality. ESG outperformer par excellence. Quiet but powerful, the Vitamin Cottage IPO has shown the staying power of the LOHAS community’s business acumen, strength and vitality. In contrast to Facebook, the stock (NGVC) is up 10% over last week’s IPO debut and is resting on a 1.88 P/E ratio, earning over ten dollars a share. We may be in favor of steady state economics, but we believe the growth of organic grocers will come at the expense of GMO and chemical agriculture and personal products. This type of economic replacement is healthy for the economy, society and planet.